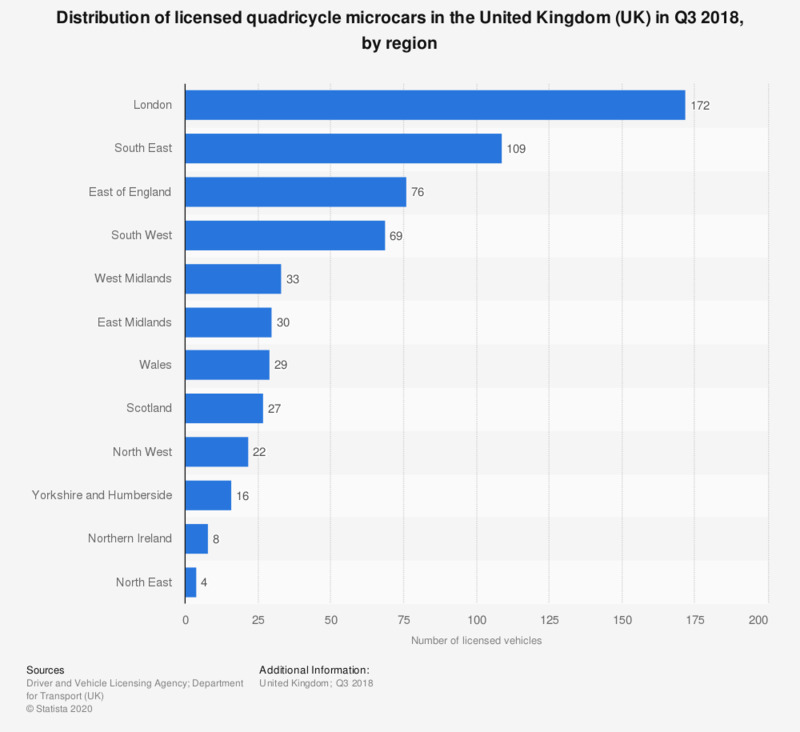 This statistic shows the distribution of licensed quadricycle microcars across the United Kingdom (UK) licensed in the third quarter of 2018, by region. Quadricycles are small electric cars of less than 400 kg. There were 16 licensed quadricycles in Yorkshire and Humberside by Q3 2018.